Nobody can resist a good piece of chocolate brownie, and using dark chocolate results in a particularly indulgent, rich flavour. With our collection of some of the UK's top chefs' own brownie recipes, we can guarantee the whole batch will be gone in minutes. Chocolates with classic nutty, coffee flavour profiles work particularly well in brownies, so be sure to look at the tasting notes of whatever chocolate you buy. We have a delicious Classic chocolate brownie recipe by Frances Atkins, which are sure to go down a storm. 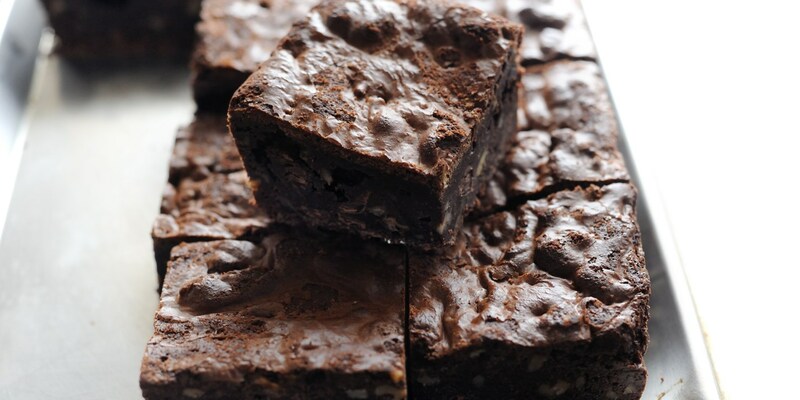 For a variety of extra textures and flavours, try Adam Stokes' Dark chocolate and pumpkin seed brownie recipe or Chocolate, fudge and Cornish sea salt brownies by Nathan Outlaw. And if you fancy something a little more virtuous, try these Low-calorie chocolate fudge brownies for guilt-free gorging.